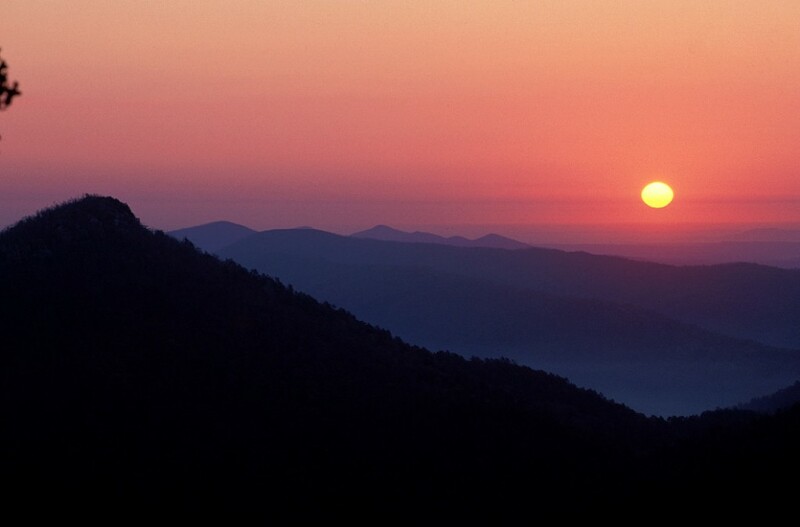 The stunning landscapes of Arkansas’ parks offer participants of faith-based tours a place where they can connect with natural wonders, discover the beauty of Mother Nature, and develop strong relationships with their peers and their God. Nature is a way to connect with your faith in a different way. Sometimes you need to take the sermon outside to really appreciate the world around you and what you have been blessed with. Visiting any one of Arkansas’ stunning national parks allows for religious groups to discover the natural wonders that were created centuries before our time and learn about places that are considered sacred to many of America’s ancestors. The outdoors provides serenity, a place where you can just think, meditate or pray. 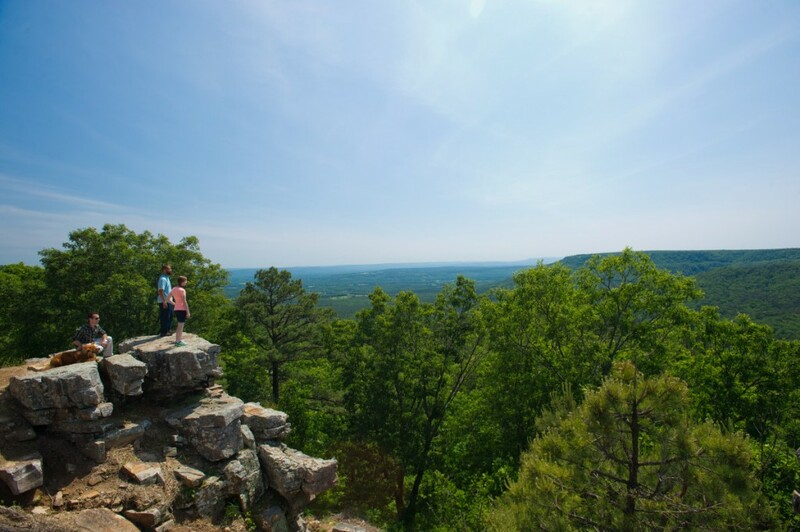 Mount Nebo State Park is a perfect place for a religious group retreat in Arkansas. Your group can return to rustic roots by setting up tents in any of the parks 34 campsites, or go a little more urbane with a stay in some of the fully equipped cabins. Rising 1,350 feet, Mount Nebo offers far-reaching views of the Arkansas River Valley. Hike one of the 14 trails around the mountain, and make your way to the inspiring Sunrise and Sunset Points, ideal spots for a quick prayer—and taking in the amazing views. If your group has any adventure seekers, Mount Nebo is one of only two parks in the Arkansas state system that offers launch sites for hang gliding. This thrilling activity will get your crew soaring above the trees, lakes and streams of Arkansas, enjoying sights unlike any they’ve seen before. For a different spiritual experience, take your group to the ancient Ouachita Mountain area, considered a mystical place by Native American tribes. The hot springs in the region are said to be a place of peace for tribes, and the Arkansas quartz crystals that are found throughout the land were believed to have sacred and spiritual significance. Your religious group can pick up some of those crystals in one of the many “dig-your-own” mines found in the Ouachitas. If your group doesn’t feel like getting down and dirty in the mines to snag one of these beautiful, mystical items, they can peruse the collections at nearby rock shops that sell Arkansas crystals. What is more serene and purifying than water? Falling water. Arkansas is filled with dozens of waterfalls; your group really cannot go wrong with visiting any one of these beautiful natural wonders. Richland Falls and Twin Falls are two of the state’s most gorgeous, and they’re in one spot. Found in the Ozark Mountains in northwest and north-central Arkansas, these waterfalls can be reached by foot via the Richland Creek Trail. While these waterfalls are some of the most picturesque in the state, they are also difficult to reach. If your religious group is eager to see a waterfall, but they don’t want to make the trek to these beauties, try the Falls at Lake Catherine State Park. You can hike a quick and moderate two-mile trail up to the falls. The wide falls drop roughly 10 feet into a pool in a wooded area, offering groups a pleasant oasis where they can enjoy one of the state’s most striking natural waterfalls. Lake Catherine State Park also offers groups great camping sites, fun watersports activities, fishing opportunities and more. To learn more about the park, your crew can take a guided hike or lake tour. In the summer, guided horseback trail rides are available if groups would prefer not to explore the park on foot. 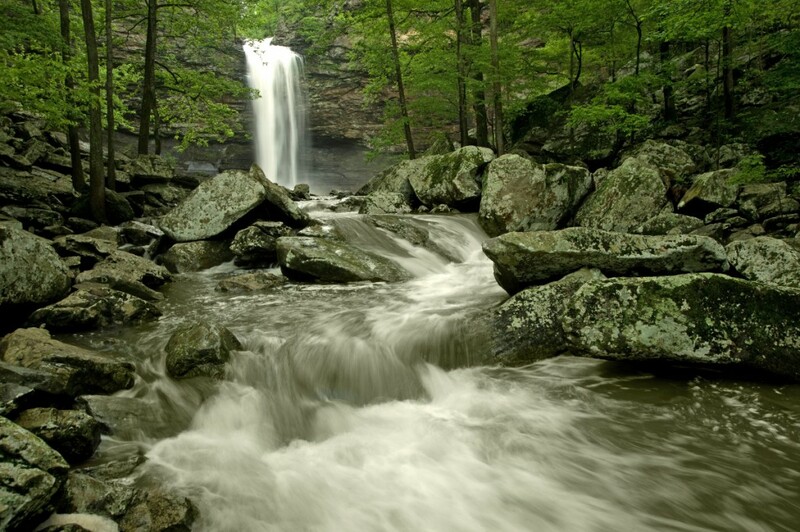 Arkansas is nicknamed the Natural State and known for its parks, so it only makes sense to stop at Petit Jean State Park, Arkansas’ first state park. The ancient geology of Petit Jean Mountain inspired the creation of this park and ultimately led to the state’s impressive park system. Within the park is the historic Mather Lodge, located on the bluff of Cedar Creek Canyon, and three National Historic Districts that contain over 80 structures, bridges and trails showcasing the legacy of the Civilian Conservation Corps (CCC), which constructed a majority of Arkansas’ park facilities. Groups can take a walk along Seven Hollows Trail, which passes through a series of small canyons and dense forest; or visit Bear Cave, where they can walk under and around gigantic sandstone boulders. This special place will touch the hearts of religious groups visiting Arkansas, beckoning them back again and again. 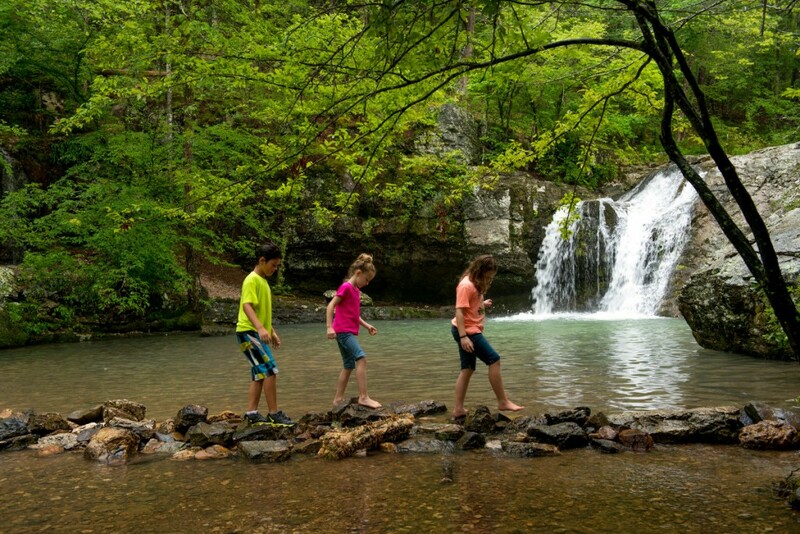 Arkansas and its state park system offer a different way for faith-based groups to connect with the natural world, appreciate the beauty around them and cultivate their faith. No matter which Arkansas park or attraction groups visit, they will discover something truly meaningful that will stay with them for years to come. If you are interested in planning a religious group trip to Arkansas and visiting its state parks, contact Arkansas Parks and Tourism. The staff is available to answer questions and also provides free travel assistance if you are looking for more information on the best places to go and what will work best for your group.